A troublesome trio. 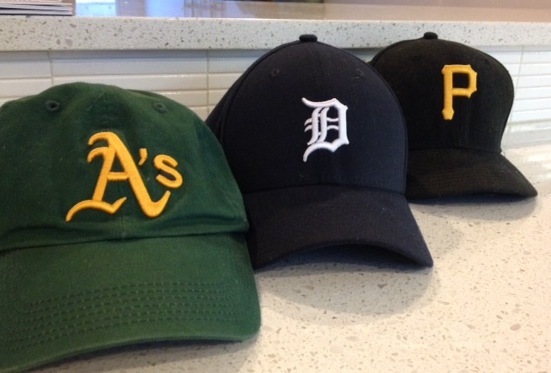 All three teams that I root for are in the postseason, but which one do I want to win it all? For the second year in a row, all three of my favorite teams have made it into the Major League Baseball playoffs. While that’s cause for celebration, it also makes me squirm a little, knowing that I could very well wind up having to choose one favorite over another should they come up against each other. That will make for some tough choices, but for now I’m digging the fact that the A’s, Tigers and Pirates are three of the 10 teams left standing after a grueling 162-game season. With apologies to certain relatives (I’m talking to you, my Dodger-loving cousins in California) and friends (yes, you Giants fans in San Francisco and Seattle), here’s hoping your teams fall flat on their face. No offense intended, of course (smile). The Oakland A’s, my favorite team since I was a teenager growing up in the East Bay, staggered into the playoffs as one of two Wild Card teams – that is, the two teams with the best runner-up records outside of the three division winners in each league. The A’s had the best record in baseball until the All-Star break. Then they got greedy – or too generous, most people would say – by trading one of their top hitters for one of the best pitchers in baseball. Their new pitcher, Jon Lester, was as good as advertised but all of a sudden, without the slugger they traded away, they couldn’t score runs and so they had a miserable second half of the season. It took a win on the very last day of the season to earn a spot in the Wild Card game against the Kansas City Royals. The A’s had won the last two American League West Division championships, but this year finished in second place. They will have much of America rooting against them tonight because Kansas City hasn’t been to the playoffs in 29 years and is perceived as an underdog. The Detroit Tigers, a team I took as liking to when I was on a sabbatical at the University of Michigan in the early ‘80s, won the American League’s Central Division for the fourth straight year. They will play the Baltimore Orioles, winners of the AL’s East Division. Normally, I’d cheer for the Orioles, simply because they displaced the Yankees and Red Sox as division champs. Ah, but they’re playing Detroit. The Tigers made it to the World Series in 2006 and 2012, but lost to the St. Louis Cardinals and then the San Francisco Giants. Maybe this even-numbered year means they’ll get back to the Series one more time before this aging team inevitably breaks up. 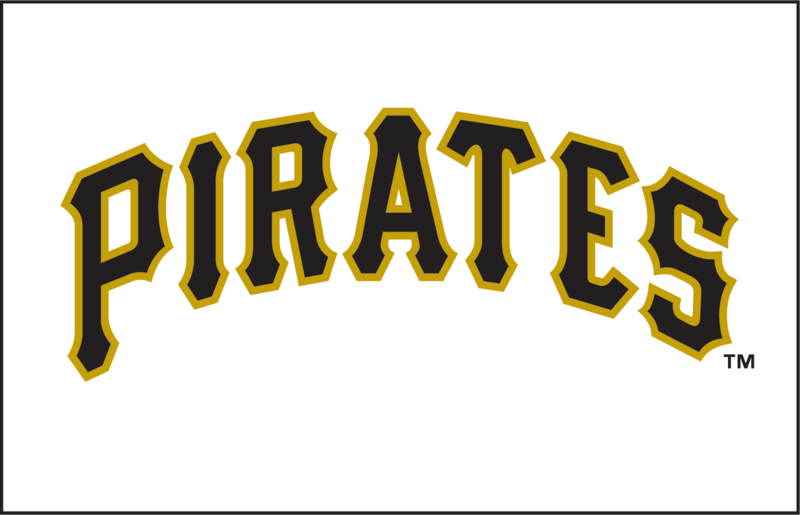 The Pittsburgh Pirates, a team I adopted three years ago when my daughter moved there to attend graduate school, are one of two National League Wild Card teams, having finished second (again) to the dreaded Cardinals in the NL Central Division. After 20 consecutive seasons of losing records, they finally turned it around last year and made it to the playoffs. They beat the Cincinnati Reds in a one-game Wild Card playoff, and had the Cardinals on the ropes, but ultimately lost that series. This year, they play the Giants in the Wild Card game. If they win tomorrow night, they move on to play the Washington Nationals, the team with the best record in the National League. Oakland beats Kansas City, then beats the Los Angeles Angels, owner of the best team in the American League. Pittsburgh beats San Francisco, then beats Washington, then beats the winner of the Cardinals vs. Dodgers series. If all that happens, it would be Detroit (or Oakland) vs. Pittsburgh in the World Series. Another tough call. But a dream match-up I’d love to see. Two Libras: Lori and Sara. One of the true joys in my life is seeing how much other people love my wife. I say that in all honesty because the annual deluge of cards, phone calls and social media comments that arrive in the days leading up to her birthday remind me that I’ve married a very special woman. This weekend was a time to celebrate. Saturday night, she and a dozen friends and family members converged at Garnish, a women’s clothing store in Northwest Portland, for wine, appetizers and a private shopping party. Lori had submitted the winning bid at a silent auction earlier this year for this very package, and wisely hung onto it until now. It was win-win-win. Friends got to shop. The store owner made some sales. And The Dougy Center, where Lori volunteers twice a month, benefited from the auction bid. Front row: Simone, Sara, Lori and Jamie. Back row: Nathan, George and Jordan. Not pictured: Kyndall, the photographer. Sunday morning, we headed across town for a family brunch and a double birthday celebration. Sara, the girlfriend of our older son, Nathan, also was born on September 27, the same day as Lori. We toasted them with a delicious meal to which everyone contributed — Simone and Kyndall (who also hosted the gathering); Jordan and Jamie (visiting from Spanaway); Nathan and myself. 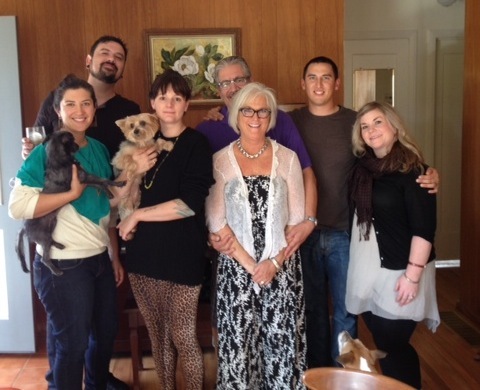 It was a four-dog gathering, as well, with our Otto; S & K’s Quimby and Templeton; and Sara and Nathan’s Uni. Lori received some nice gifts but I know she could have left empty-handed and been just as happy. Being with family means more than anything. On that note, it was extra special to have Jordan and Jamie with us this weekend. Though they live just 3 hours away, we don’t see them as often as we like, owing to Jamie’s work schedule and Jordan’s commitments to school and the Washington Army National Guard. 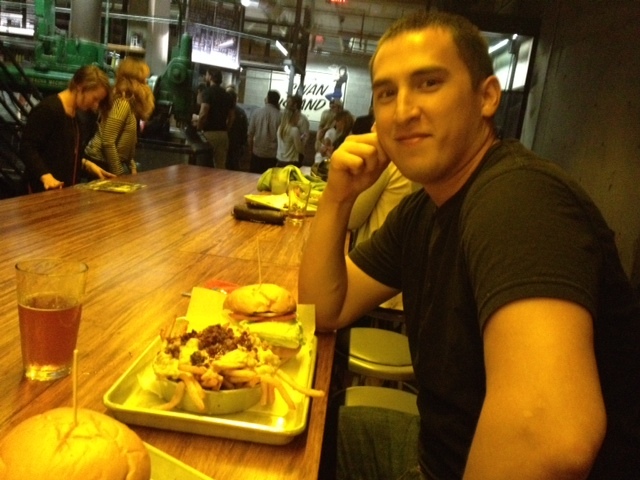 While Jamie joined Lori and Simone and others at the Garnish shopping party, Jordan and I were one block away, taking on the challenge of a burger and fries at Tilt. That’s some serious eating there. If you’ve never been there, back up two sentences, click on the hyperlink and browse the menu. Jordan takes on “The Big Tilt” challenge. Afterward, we waddled out the door, said hello to the ladies at Garnish, then went out and played billiards. All in all, some quality time with my younger boy. The soft-surface trail at Macleay Park is fairly flat, but undulates and becomes rocky as you go further toward the upper portion of the park. I left the house Saturday morning intending to go for a run in Forest Park. But with the road to the park blocked off, I followed the detour and found myself for the first time at Lower Macleay Park. What a cool diversion. Literally. Macleay Park, starting at Northwest 29th Avenue and Upshur Street, is one of those hidden gems in the city. 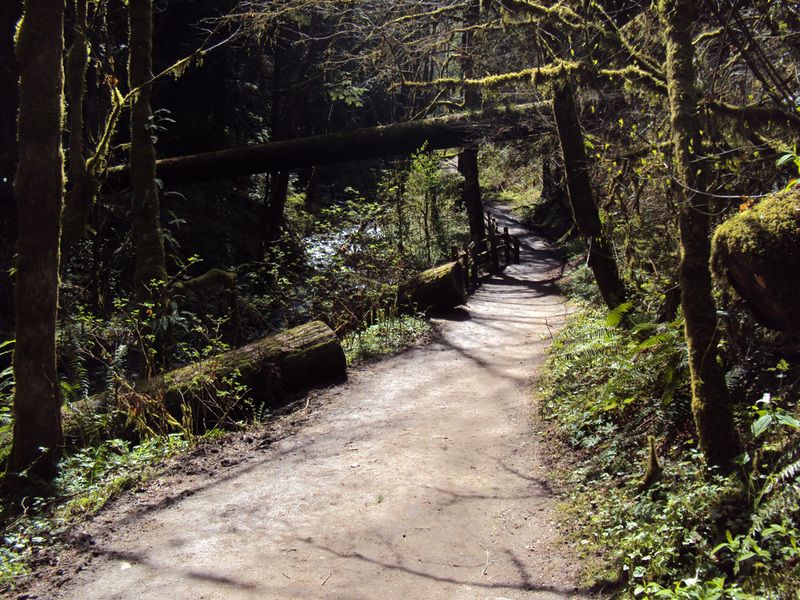 A well-used trail lined with trees follows a creek through an urban neighborhood up to a busy road that connects to Wildwood Trail and leads to Hoyt Arboretum. I ran for a leisurely 35 minutes or so, navigating four footbridges and three switchbacks on the way up and back. Though the scenery was beautiful, I have to admit I couldn’t enjoy it fully because of the many fist-sized rocks and tree roots poking up from the dirt. There was enough of both that I didn’t dare take my eyes off the ground for fear of tripping. With all my years of running, I’ve done enough face plants — on both dirt and and asphalt — to make me value caution over speed when the footing is dicey. Still, Macleay Park was a nice and long overdue discovery. On a hot summer day, I can imagine it would feel like a long, cool drink. Even on a cool autumn morning, it was a comfortable place to be and a nice change from the familiar. No, I haven’t turned into a speed reader. Pairing two books in a single blog post simply means I haven’t had as much time as I’d like to keep my blog current. But let’s say that after reading a splendid memoir by Supreme Court Associate Justice Sonia Sotomayor, I was in the mood for something different. Both books have been around a while. And both delivered big-time in providing page-turning drama and memorable characters. If I had to choose between the two, I’d give the nod to “Brotherly Love” for its spare writing, inexorable tension and pitch-perfect dialogue, all wrapped up neatly in a gangster story of revenge, family ties and violence, both actual and implied. 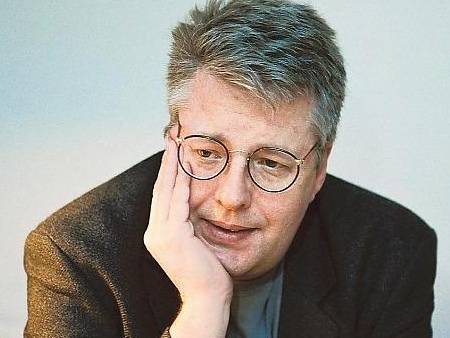 “The Girl…” came out in Sweden in 2005, then in Great Britain and the United States in 2008, as part of a trilogy published after Larsson died of a heart attack in 2004 at age 50. There was quite the buzz about it, too, especially after it was made into a movie starring Daniel Craig as investigative journalist Mikael Blomkvist and Rooney Mara as his unlikely partner, the quirky tattooed punk detective Lisbeth Salander. I haven’t seen the movie, but if it’s anything like the novel, I’m sure it makes for scintillating watching. The book is nearly 600 pages – twice as long as “Brotherly Love” – and it does seem maybe 10 percent too long. But, wow, I was impressed with the intricacy of the plot. Larsson weaves a complicated tale of a disgraced journalist who is hired by an aging businessman to investigate the unsolved murder of a beloved niece – who may have been killed by a family member. Blomkvist uses all his wits and investigative skills as he teams up with Salander, the girl with the dragon tattoo, to delve into the past of a dysfunctional family living in a remote, bitterly cold town far north of Stockholm. The story is chilling, downright creepy and a little too techie at times, but overall a fascinating read that makes me want to tackle “The Girl Who Played With Fire” – most likely sometime next year. “Brotherly Love,” published in 1991, is the fourth of seven novels by Pete Dexter, a former newspaper columnist (Philadelphia Daily News, The Sacramento Bee) who later became a novelist and screenwriter. 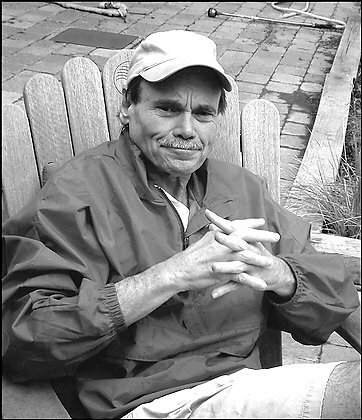 He won the National Book Award for Fiction for “Paris Trout” (1988) and also authored “Deadwood” (1986) and “Mulholland Falls” (1996). In “Brotherly Love,” Dexter recreates the 1960s and ’70s world of Irish and Italian gangsters fighting for control over union pension funds in Philadelphia. The story pivots around two cousins, Peter and Michael Flood, one orphaned at a young age and just trying to get by, the other drawn to violence and the ways of the mob. Michael spends a lot of time trying to settle old scores and isn’t shy about taking what he wants – money, material things, a friend’s wife. Peter, meanwhile, is torn by guilt over the death of his younger sister, and strives to stay free of the mob life embraced by both his union boss father and his uncle, Michael’s father. 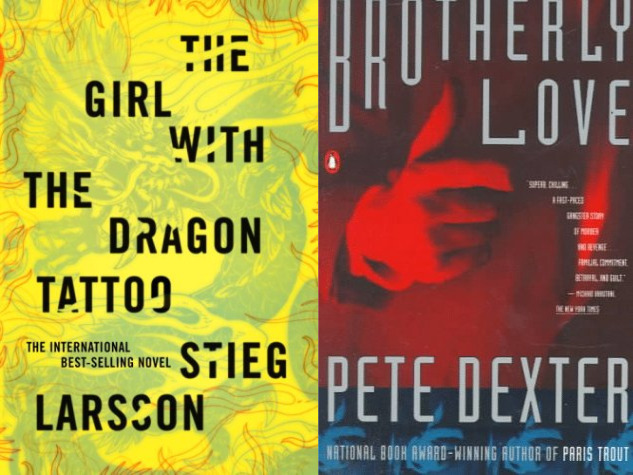 If you like Elmore Leonard, you’d probably like “Brotherly Love” for its grit and authenticity in depicting the seedy underbelly of old-school gangsters. Michael’s determination to exact retribution for perceived wrongs, whether big or small, is particularly horrifying. So, yes, 864 pages of murder and mayhem. Two excellent books. Dexter photo: Dian Dexter, courtesy of the Washington Post. 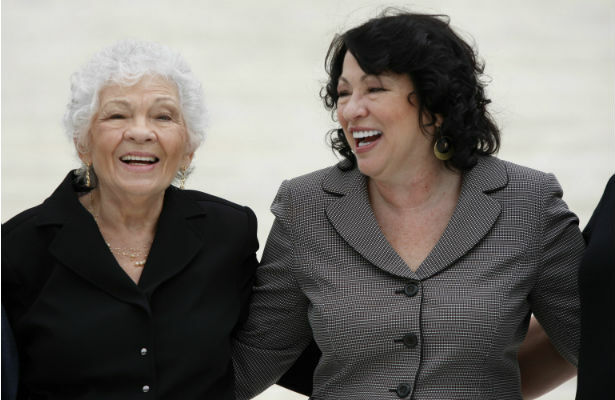 Sonia Sotomayor, right, and her mother Celina Baez in 2009. Five years ago, Sonia Sotomayor became the first Latina and third woman to join the most exalted of all judicial panels, the Supreme Court of the United States. I remember the howls from the right and the joy that fired up the left — especially within communities of color — when President Obama, just five months into his first term, nominated her to the court. The sound and the fury have diminished substantially since then. 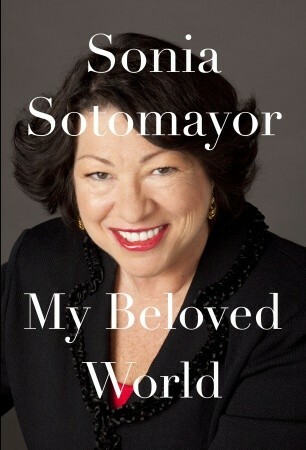 Nevertheless, I was excited to finally dive into Sotomayor’s widely acclaimed memoir, “My Beloved World,” published 20 months ago in January 2013. I was familiar with the broad outlines of Sotomayor’s story of personal success despite tough odds. Reading her memoir allowed me to fill in the details and appreciate even more the long, hard road taken from an insular, impoverished upbringing in The Bronx to the Ivy League to one of nine seats on the Supreme Court. As a young girl growing up in New York City, Sotomayor faced material poverty and chronic illness, and was raised by a single mother after her father died. She had Type I juvenile diabetes and learned at age 7 to give herself daily shots of insulin. She and her younger brother Juan moved from one public housing project to another, living in crowded conditions with relatives who, like Sonia’s parents, had immigrated from Puerto Rico as World War II was winding down. Her mother, a nurse, worked hard to send her children to Catholic school and Sonia excelled, winning admission to Princeton and then Yale Law School, where she distinguished herself among hyper-competitive, privileged peers. She went on to work for the New York County District Attorney’s office and then in private practice before winning appointment as a federal judge, an appellate judge and finally the Supreme Court. I knew much of that going in. What I didn’t expect was the extraordinary quality of Sotomayor’s writing. Yes, it was clear and specific, as you might expect from a judge. But much of the book had a literary quality to it, with beautiful phrasing, warm intimacy and a consistently positive tone. More surprising was how much the author revealed — almost TMI — in discussing topics like divorce, dating and ladies’ dressing rooms. Sotomayor evidently considered nothing to be off limits and so it is jarring to find one’s self reading about her insecurities about fashion, down to her choice of underwear. But that’s part of the appeal of this book. Can you imagine Ruth Ginsberg or any of the male justices on the court going remotely near of these topics? Can you imagine any of them being raised in a low-income, bilingual household in a high-crime neighborhood? Can you imagine how shocking it must have been to have grown up in New York City, having never crossed the state line to New Jersey until enrolling at Princeton? After reading this book, I came away with a ton of respect for Sotomayor as one wise Latina. She makes a compelling argument for affirmative action, as the embodiment of those who benefit from a program designed to give underrepresented minorities an opportunity — a mere chance — to prove their worth at elite institutions previously closed to them. She acknowledges her exceptional success in life and attributes much of it to her beloved world, growing up in the embrace of an extended family where tradition, culture and faith combined to give her a sense of security and self-worth. But she also asks herself the question, “Why me?” What made it possible for her to excel in high school and continue achieving at the highest level at an Ivy League school? What put her on the path to becoming a judge? “Call it what you like: discipline, determination, perseverance, the force of will,” she writes. Competing against herself, rather than others, was part of it, Sotomayor says, but even more so was the desire to do for others, to help make things right for them. “My Beloved World” is a wonderful book. I found it inspiring and revealing of the character of a distinguished lawyer and judge — and a generous human being. 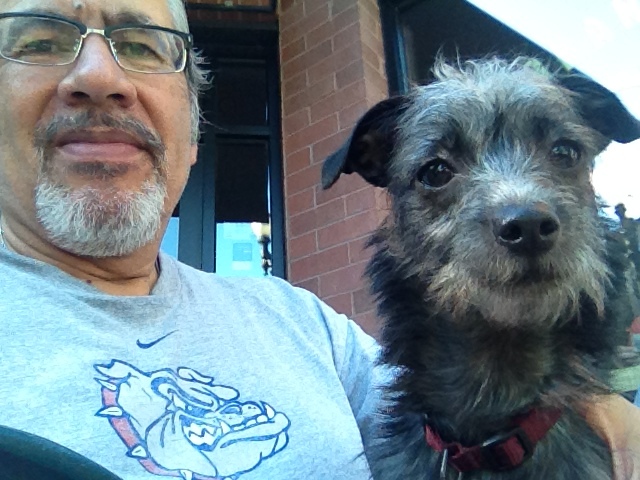 George and Templeton get acquainted at a Northeast Portland bakery. I made a new friend this weekend: Templeton. 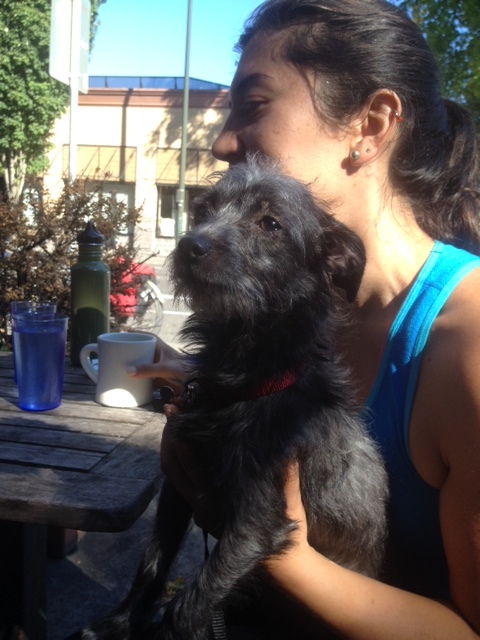 Templeton is a classic mutt, a black-and-grey terrier mix not much bigger than a cat. She weighs about 7 pounds and seems to have a sweet disposition. The girls adopted her from the Oregon Humane Society late last week and in the process learned she had come up as a rescue dog from Hayward, California, a suburb I know well from having grown up in the East Bay Area. Ironically, her name was Lori. Little wonder Simone and Kyndall renamed her Templeton — or Temple, for short. 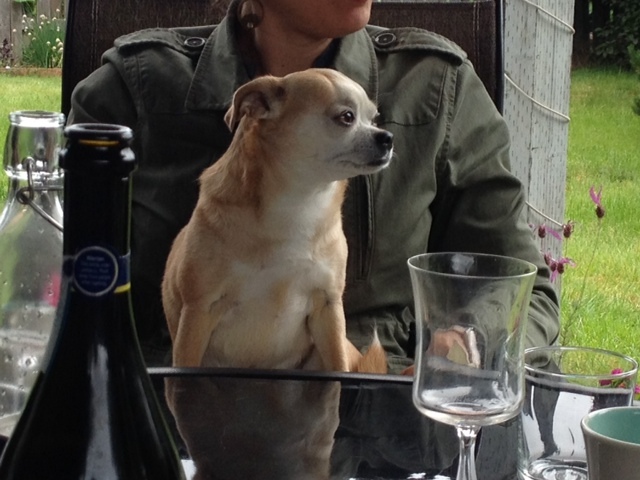 She joins a household with a reigning top dog — Quimby, the Chihuahua-Pug mix who’s had the privilege of being their one and only for several years. I expect Lil’ Q will continue to rule the roost, but I also hope she will accept Temple as a peer. With any shelter dog, you wonder about the life your adopted pet led and, of course, how they will adjust to their new surroundings. If Templeton could only talk, I’m sure we’d hear some amazing stories of abandonment, survival and second chances. But from outward appearances, it seems she will fit in just fine. Judging from the bounce in her trot and the light in her eyes, she seems genuinely happy to be in the company of her new owners — grateful for an opportunity to start anew. Already, I’m looking forward to having Temple in our house, as a visitor for the day or an overnight guest. My guess is that she’ll get along great with our own little dude, Otto. Quimby strikes a regal pose. But I am everything that I am not. I do everything that I do not. I say everything that I do not. Can you tell what I am not? 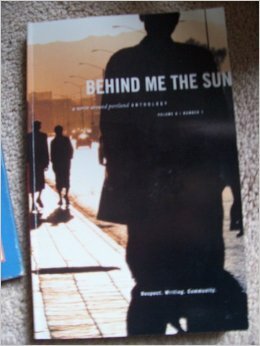 This poem is taken from “Behind Me The Sun: A Write Around Portland anthology” Volume 8, Number 1. 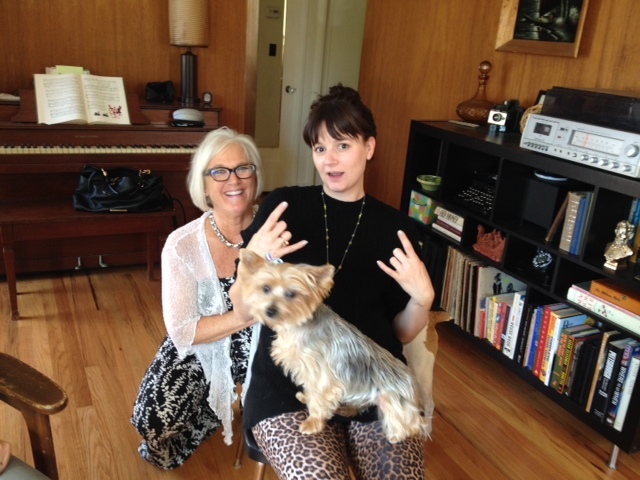 Write Around Portland is a nonprofit organization that has provided writing workshops in collaboration with more than 200 social service agencies, community organizations, the state, county and public schools serving specific populations, such women fleeing domestic violence, youth who are homeless, people with mental or physical disabilities and adults in recovery from addictions. 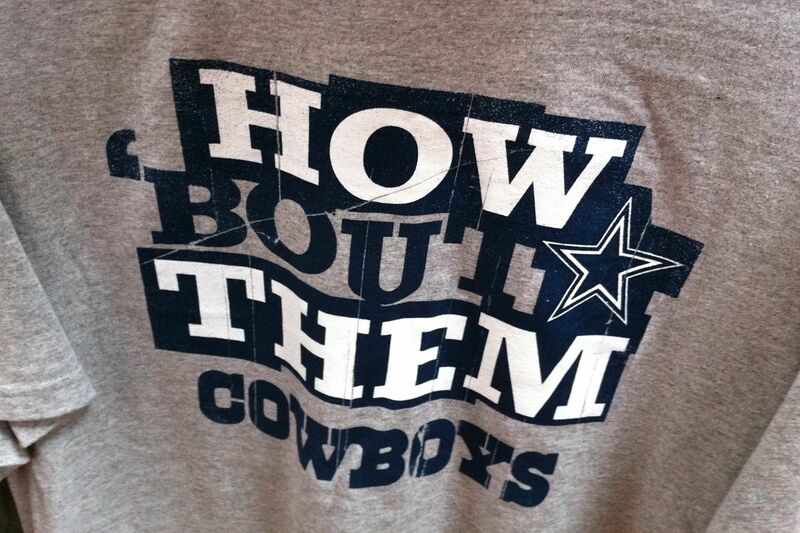 It’s the signature rallying cry of the Dallas Cowboys football team. And during this past weekend, I heard it too many times to count – a 100 percent mock redneck declaration from the lips of my longtime Texas friend, Mike Granberry. He was kidding, of course. But every time he blurted out the phrase, context-free and with no warning whatsoever, it made me smile. How could I not, hearing the words delivered with faux passion by a Dallas native and lifelong Cowboys fan channeling his inner good ol’ boy. During an all-too-short visit to Big D, I heard it again and again. And again. And I didn’t mind at all. Mike and I met in June 1973 as summer interns at The Washington Post, a year after the reporters Woodwood and Bernstein had traced a burglary at the Democratic National Committee headquarters at the Watergate office complex to the Nixon White House. By the summer of ’73, Watergate was a full-blown national scandal and additional reporting the following year would ultimately bring down the President of the United States. It was a heady time to be a collegiate journalist in a newsroom that was making history. Mike was a sports intern, a red-haired, lightly freckled guy out of Southern Methodist University. A guy I took an instant liking to, with a down-home manner, a great sense of humor and a bottomless well of stories. I was a copy editing intern in the Sunday Outlook section, a long-haired Californian with John Lennon glasses and the mistaken notion that lemon yellow bellbottoms and blue platform shoes were meant to be worn in a professional newsroom. We hit it off so well that when I married Lori the following year, I asked him to be an usher. We stayed in touch for several years until time, distance, and life’s twists and turns caused us to lose contact – though the mutual respect and friendship never went away. Through social media, we reconnected again this year and I found myself on a plane last weekend to visit my long-time buddy and meet his family. 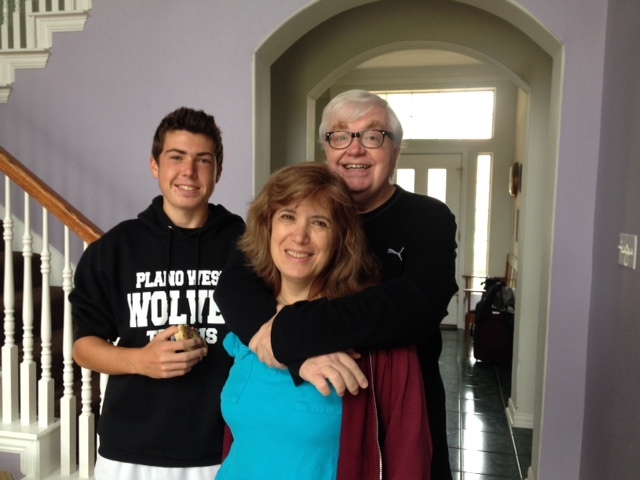 Mike Granberry at home with his wife, Nancy Churnin, and youngest son, Josh. He could pass for Elton John these days, with his black jacket over a black shirt, black -ramed glasses and full head of silvery hair. He also would make a great ambassador for his hometown. It’s hard to imagine anyone with his depth and range of knowledge and wealth of contacts in the realms of arts, sports and journalism. 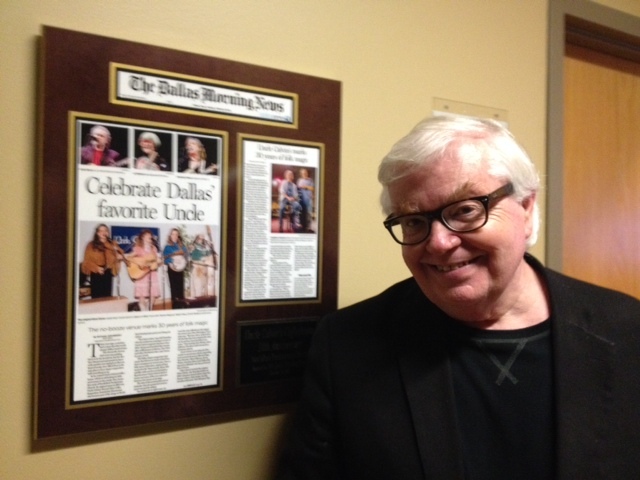 Everywhere we went, everyone knew Mike as that talented arts reporter and columnist for The Dallas Morning News. Were I to go into detail, this post would be twice as long, so let me just hit the highlights. 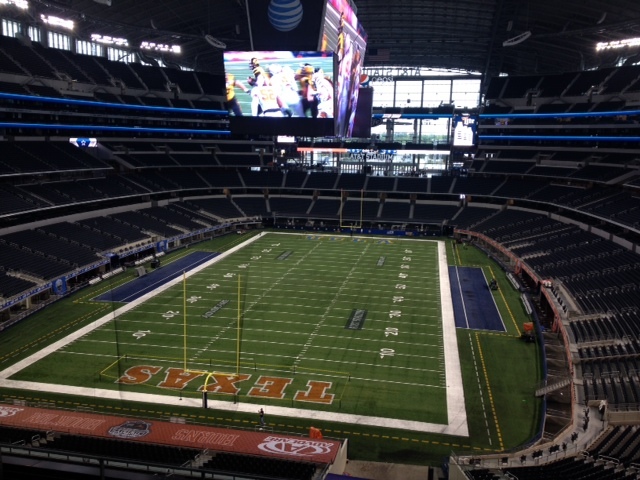 An immaculate field, ready for play by two college teams. Not shown: the jumbo scoreboard, 60 yards wide and 9 stories tall. He shared his encyclopedic knowledge of JFK’s assassination. We retraced the presidential motorcade’s route through Dealey Plaza; saw the rooming house where Lee Harvey Oswald lived, the street corner where he gunned down a police officer, the movie theater where he was arrested; and the street ramp to the police station where he was shot by Jack Ruby. 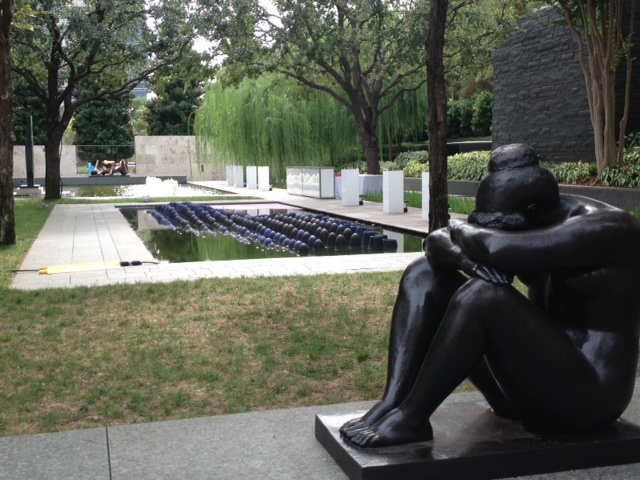 An arresting piece at the Nasher Sculpture Center in the city’s arts district. He took me to Deep Ellum, the gentrifying hipster business district near downtown, for a Tex-Mex lunch of migas and a Negra Modelo, and from there to two quick visits to the Nasher Sculpture Center and the Dallas Museum of Art, where I saw works by Picasso, Rodin and Jackson Pollock, among others. He took me to a sports bar with more and bigger TV screens than I’ve ever seen to watch the UCLA-Texas football game (at the very stadium we had toured a day earlier) and chow down on some barbecued brisket. Nearing midnight, he drove us through the SMU campus where he got his start as a student journalist and where he returned last year as a professional to help cover the dedication of the George W. Bush Presidential Center. Last but not least, he showed me the restaurant and theater district that new money has brought in suburban Plano, where he and his wife, Nancy Churnin, a fellow journalist and theater critic for The Dallas Morning News, live. Tucked in between these mini-tours and countless stories, I met three of their four boys; took a run in a nature preserve near their home; and saw the homes of various sports celebrities and other notables (including the home where Luke and Owen Wilson’s parents still live). It was a short but satisfying visit. I can see Mike is, as he used to say with a big ol’ Texas twang, “happy as a tick on a dog’s belly.” He’s married to a wonderful woman, proud of his four sons, and every bit the talented writer I knew he would become. Lindsey Danilack looking over cadets in lunch formation outside the mess hall. So begins the intro to a photo essay in Sunday’s New York Times Magazine. I have no doubt that’s true. The combination of academic rigor, physical challenges and leadership training — all occurring under the weight of a nation’s expectations and two hundred years of military tradition — has got to be daunting, to say the least. Imagine being a young woman in a place populated by alpha males and maybe you get a sense of the extraordinary challenge. Since 1976, when women were first admitted, more than 4,100 women have followed in the steps of the first 62 female graduates in 1980, the Times notes. Anastasia Efaw at a survival-swimming class. 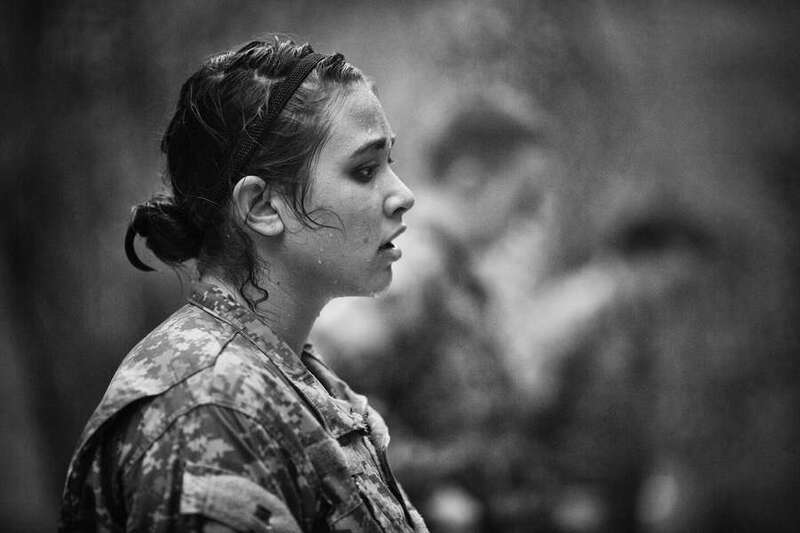 In a gorgeous collection of 16 black-and-white photos by Damon Winter, the Times provides a glimpse of the trials and tribulations faced by today’s female cadets. The online presentation includes three short audio clips and a dozen more photographs, which you can view here. The text and captions accompanying the images focus on the women’s personal challenges. You won’t find any mention of the sexual assault scandals that have plagued all three of the U.S. military academies. Nor will you find any hint of glorifying war. Like their male peers, these are exceptional young women. And they are being admitted at record numbers (22 percent of this year’s incoming class, up from 16 percent last year), the Times notes. Cadet First Capt. 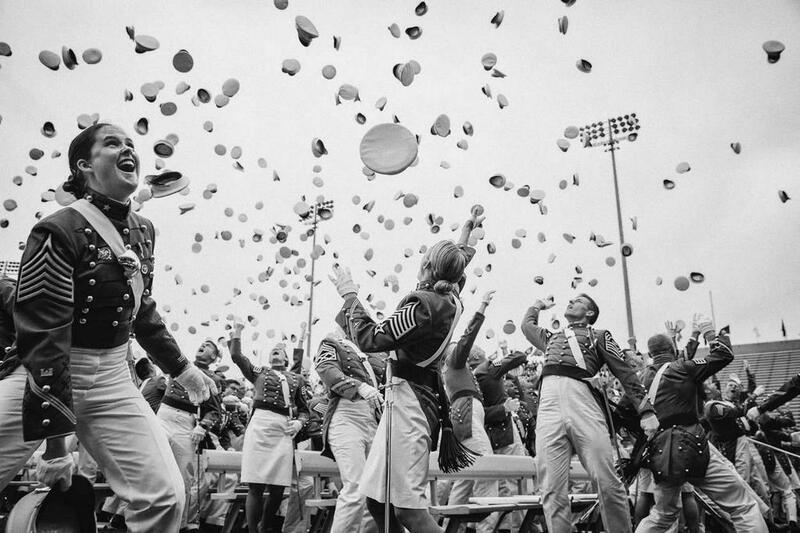 Lindsey Danilack (center) and her fellow cadets from the class of 2014 toss their caps into the air on commencement day. A decade ago, I was introduced to the history and culture of West Point through David Lipsky’s excellent book, “Absolutely American,” in which he follows a single class of cadets through their four years at the academy, ending with their commissioning as second lieutenants. Later, I was exposed up to the soldier’s perspective through my younger son Jordan’s service as an Army infantryman. I’m no military worshipper but I do have a healthy respect for both the leaders and enlisted service members of today’s volunteer Army. They answer a call that few of us do. 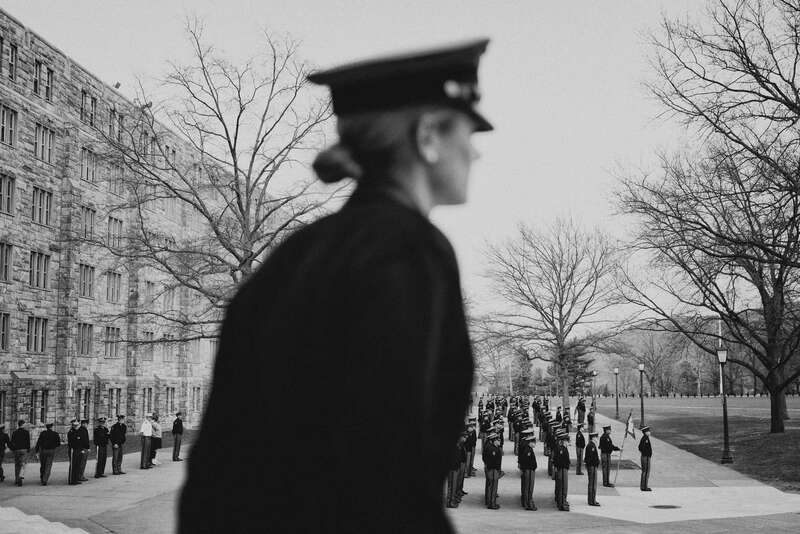 I’m especially impressed by the accomplishments and aspirations of these women at West Point. If you’ve got a few minutes, spend a few glimpsing this essay. From left: Sarah, Michelle, George and Cherie. A new season. A new league. A new venue. A new team. Fall bowling season began last night and I’m set. 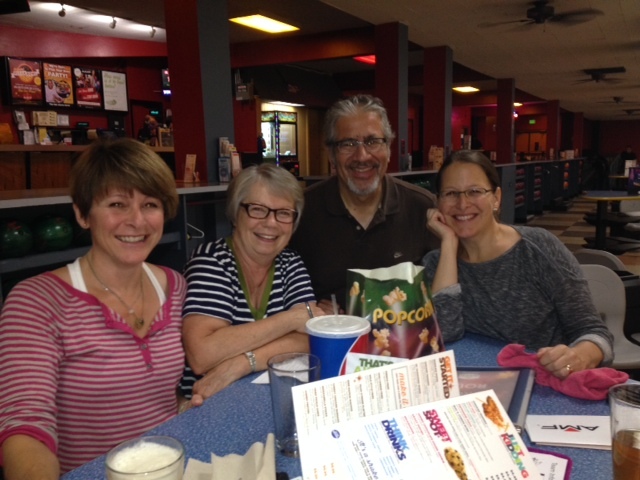 I’m bowling with three wonderful women who were members of a rival team in our long-running Tuesday night beer league at Hollywood Bowl. But with the closure of that venerable alley, many Hollywood bowlers gravitated to AMF Pro 300 Lanes in Southeast Portland. As before, we’ll be in a coed league of four-member teams for the next 15 weeks. My teammates: Cherie, Michelle and Sarah. 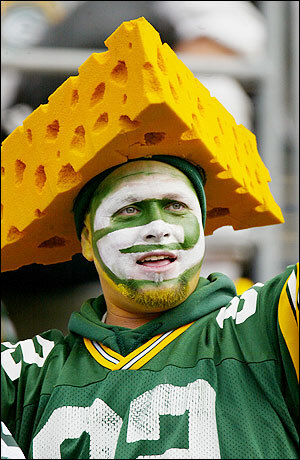 Our team name: The Cheeseheads. Named in honor of Cherie and Sarah, sisters who were born in Wisconsin and still root for the Green Bay Packers. Our first outing: Successful. We won all 3 games, plus total pinfall, last night against another foursome from Hollywood Bowl. I got off to a great start, a 512 series (170, 162, 180) after going all of last season without breaking the 500 barrier. Yikes. Might have set the bar too high. Looking forward to a great season with terrific teammates.